There is probably no secret for you but your company efficiency and success depend on your IT solutions. Your computer network is especially crucial ! 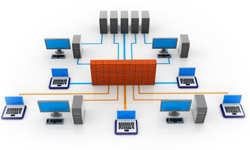 The connection of your multiple devices (computers, servers, printers,…) must be perfect to assure a great computer network management. The employees will be able to work more easily and efficiently. As a result, your company improves its productivity. It should be therefore obvious that, as a computer network administrator, you need to use the highest quality and the most flexible hardware. At A.N.S. you can find networking products from major manufacturers such as Cisco®, HP®, Nortel-Avaya®, Juniper® and Extreme Networks® ! In addition, you get advices from an experienced company of 20 years with no secrets in IT networks anymore. Make the best choice for your computer network structure and opt for experience and responsiveness. Find out more about our network switches and routers and don’t forget to have a look at Findmyswitch.com. This new website will help you to find the right switch for your needs. Choose from hundreds of switches and their accessories available on the market based on our expert advice. Visit also the website Findmyswitch.com for a complete list of the main available switches in Belgium, France and Luxembourg. 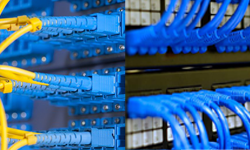 Ask us for all the patchcords you need to connect your peripheral devices to your patchpanel. We have all possibilities in fibre or UTP cable with various connectors for the fiber optic cables.